Are you annoyed that the fog lights on your Tacoma only come on when your low beams are on? Here's how to make the fog lights come on when you want them to instead. One of the more annoying "quirks" present in the Toyota Tacoma is the way in which the fog lights operate. Turn on your low beam headlights, and the fog lights come on just fine. But switch them to high beam or just the running lights, and your fog lights won't come on. It's pretty annoying that Toyota restricts them in this way, even though the "experts" recommend that you run low beams when it's foggy outside. If you're tired of electronic nannies dictating when your fog lights come on or don't come on, keep reading and we'll show you how to disable this annoying feature. 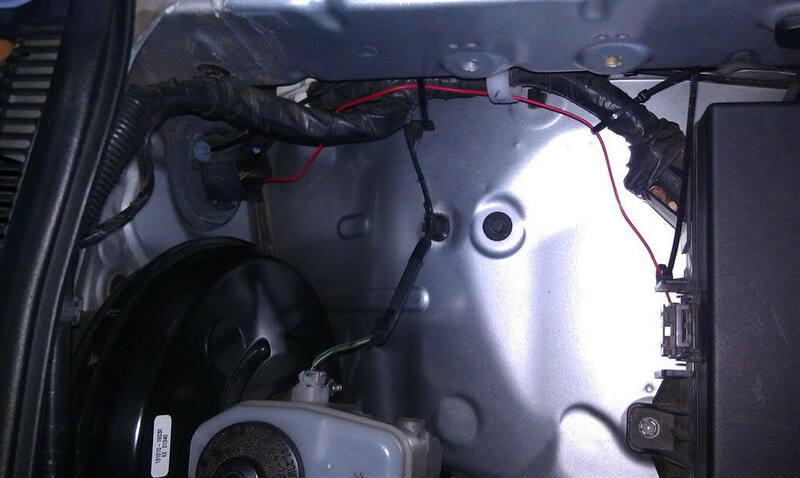 The first step, regardless of how you want your lights to operate going forward, is to pop the hood and locate the fuse box. 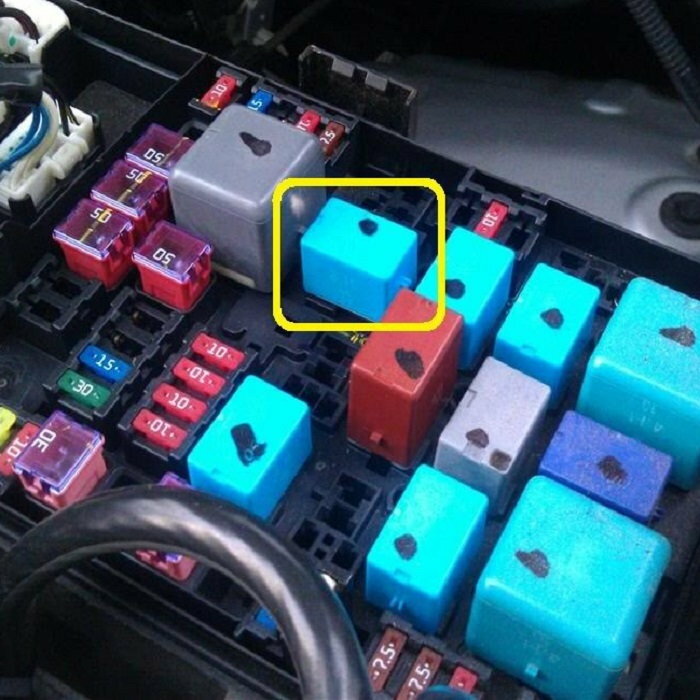 Pull the cover off the fuse box and locate the relay for the fog lights (as shown in Figure 1). This relay is designed to receive power when the the low beam headlights are on. Pull the relay out and bend the prong that receives power as shown in Figure 2. Plug the relay back in place and connect a female connector crimped to a length of wire to the bent prong. This should be facing the cab of the truck when done properly. Figure 1. 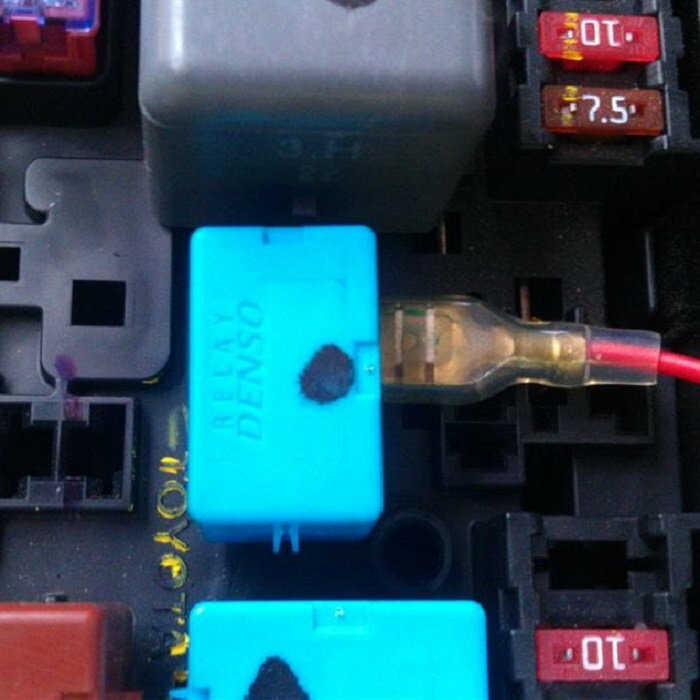 Open the fuse box and locate the fog light relay. Figure 2. Bend the prong that receives power as shown. Figure 3. Attach a female connector and a length of wire to the bent prong. How you want to proceed from here will depend on how you want the fog lights to function. Constant power can be provided, allowing you to use a switch to turn the lights on and off at any time. If you want this functionality, simply tap into any fuse in the fuse box that has constant power. If you want the fog lights to at least turn off when the ignition is turned off, tap into any fuse that comes on when the ignition comes on. Finally, if you want the fog lights to come on when the running lights are on (like most modern vehicles do from the factory), move on to Step 3. 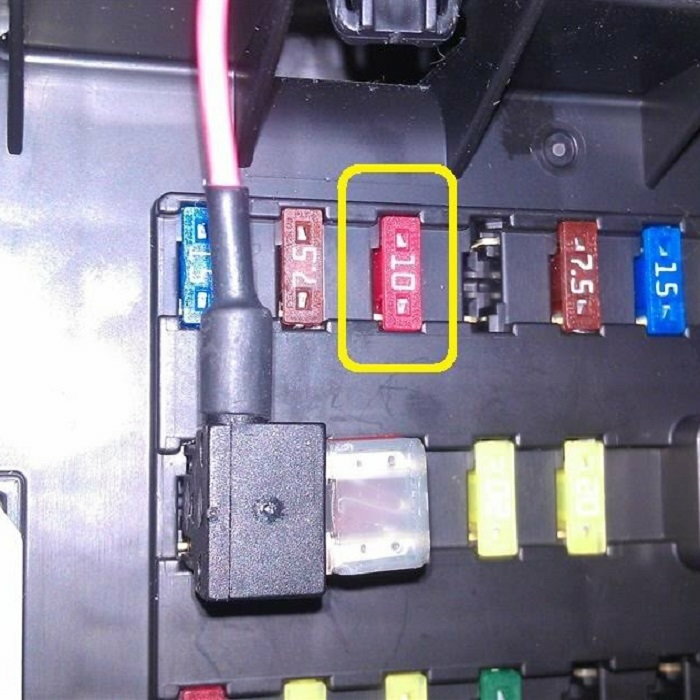 First, you will need to run the new wire connected to the relay into the cab of the truck, so that it can reach the fuse box located on the driver's side of the dashboard. The easiest way to do this is to locate a rubber plug on the firewall, and then route it through the plug using zip ties to hold it out of sight and out of the way. Figure 4. 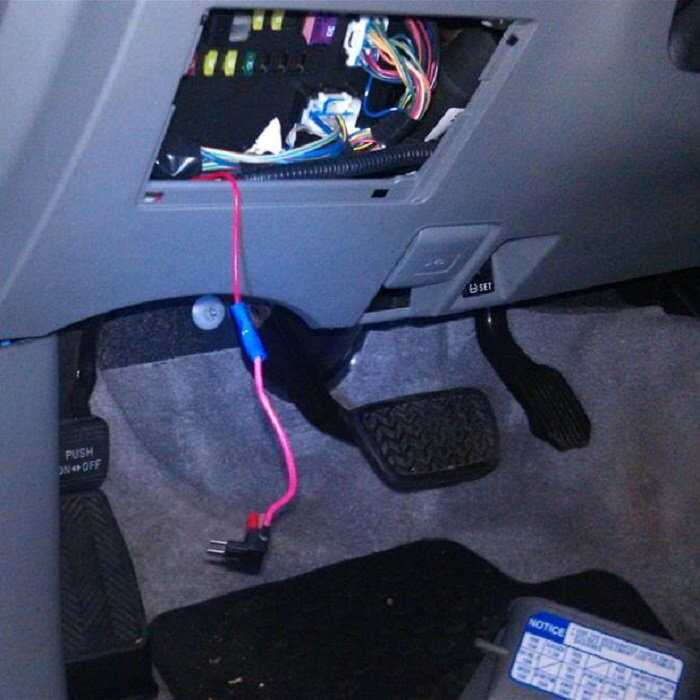 Run the new wire through the firewall and to the driver's side fuse box. 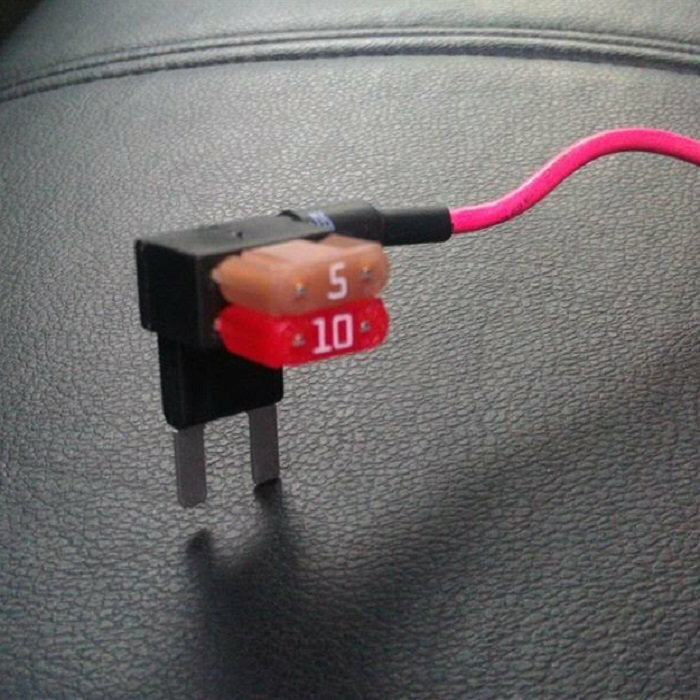 The new wire will need to be tapped into the 10 amp fuse for the running lights, which is labeled "TAIL" on the fuse box diagram. 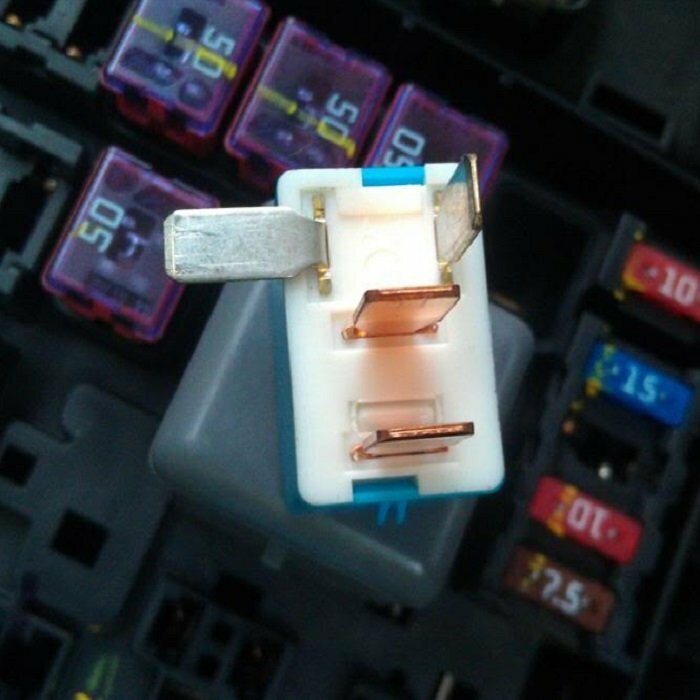 Use a 10 amp fuse from the fuse tap kit to replace the original fuse, and a 5 amp fuse in the other slot of the fuse tap for the new fog light relay circuit. Crimp the fuse tap to the new wire you routed into the cab and plug it into the fuse box. Figure 5. Locate the fuse for the running lights. Figure 6. Insert fuses into the fuse tap as shown. Figure 7. Crimp the fuse tap to the new wire and plug it into the fuse box.